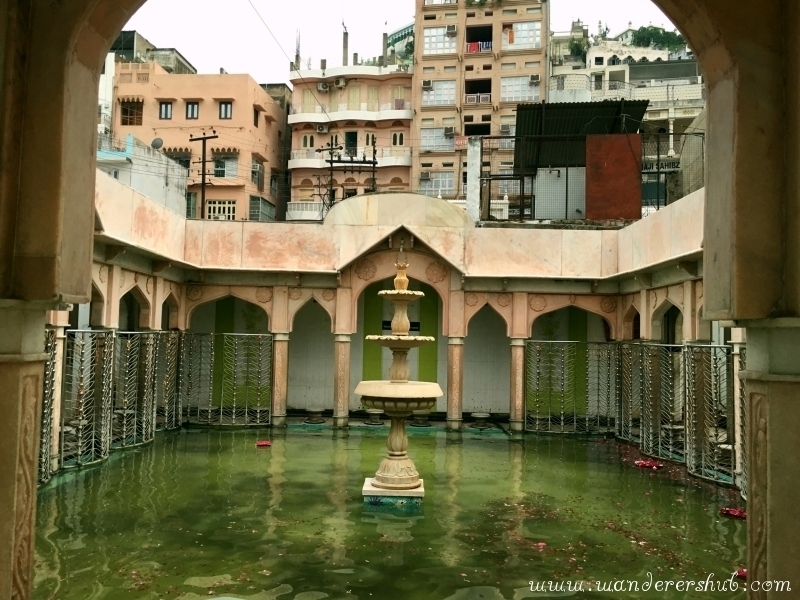 Ajmer is another charming feather in Rajasthan’s cap. I have wanted to visit the city because even as it is a sizeable township, it’s not a mainstream tourist destination, in the way places like Jaipur or Jodhpur are. I wished to see what lies in a city that is not so full of tourist traffic, yet retains the cultural vibrancy, this state is so well known for. 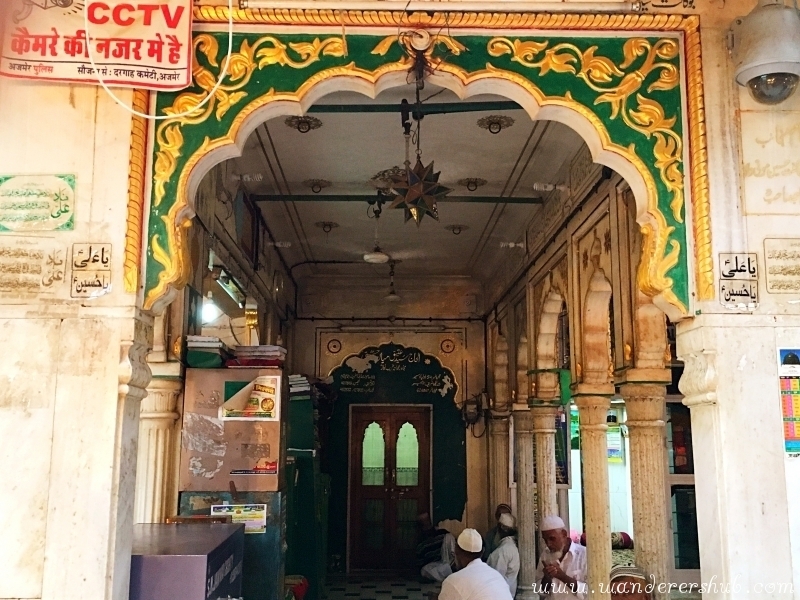 The town is a home to numerous historic sites, and the most fascinating, of course, is Ajmer Sharif Dargah. But what I loved the most is how diverse communities coexist here, giving the town, it’s hallmark of hybrid culture. 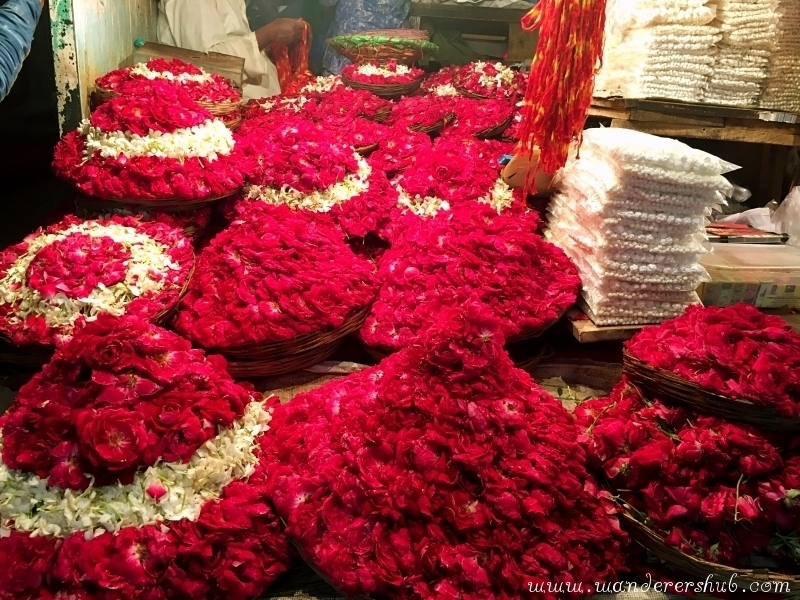 As it turned out, when we reached the dargah, these were not the first things we noticed. What lay before us was a vibrant throng of people, all heading towards the main shrine, going up a narrow street, in an unhurried, orderly fashion. 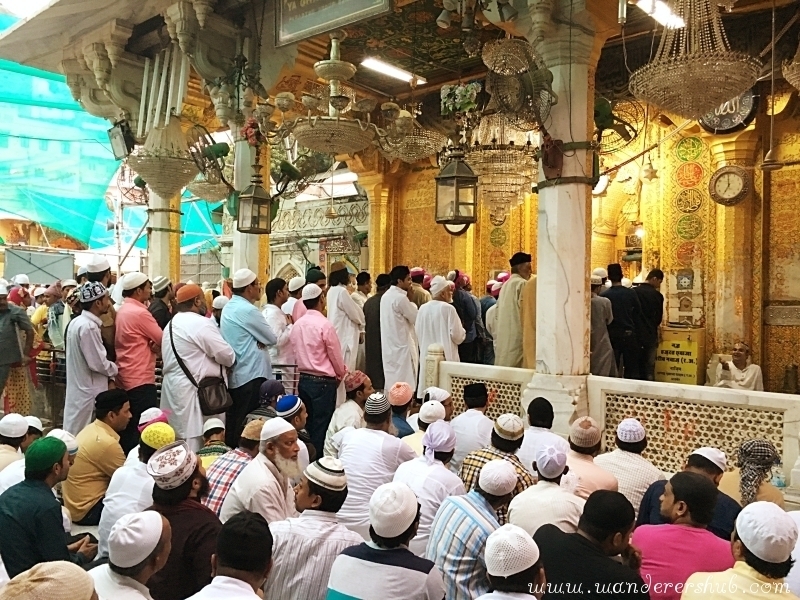 So many followers, of so many faiths, visiting the Ajmer Sharif shrine with hearts full of desires, expectations, and answers to their questions from the almighty! Trust me, it was a sight to behold. It is one of the most frequently visited pilgrimage places in Ajmer and the peace and tranquility surrounding it makes for an experience like no other. From what I could tell, people of varied faiths were present; a fact that was confirmed by a local got talking to there. He also told us about the history of the dargah which houses the grave of Persian Sufi Saint Moinuddin Chisti. Following them – for they seemed to be more familiar with the holy protocols – we made our way into the dargah. On the way inside, it was a good divine walk of 10 minutes. No doubt, there was a queue. We were strongly warned by local people of Ajmer to remain careful during our visit so we did not remove our shoes outside. As we exited and entered the outer premises of the dargah, we saw a lot of men and women sitting on the floor, waiting for the clock to strike 7, so they could do their namaaz. 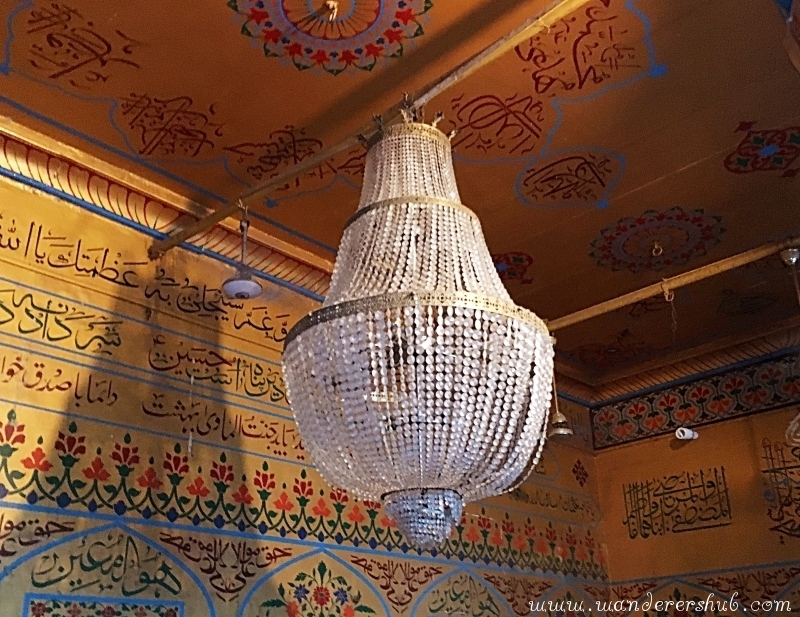 What struck me most about the dargah was that despite being such a famous shrine, visited by people from all over the world, there was nothing touristy about the experience. Everyone present there, including us, seemed to be engaging with the indomitable spiritual energy in the atmosphere. You can’t help but be nudged into a place of deep thought and introspection here. 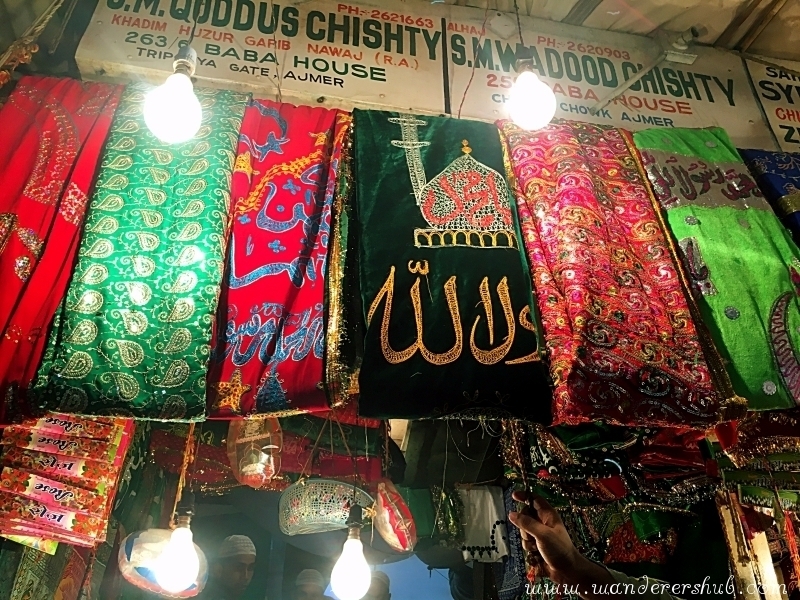 And so, I wouldn’t be surprised to find myself headed to the Ajmer Sharif Dargah again sometime. 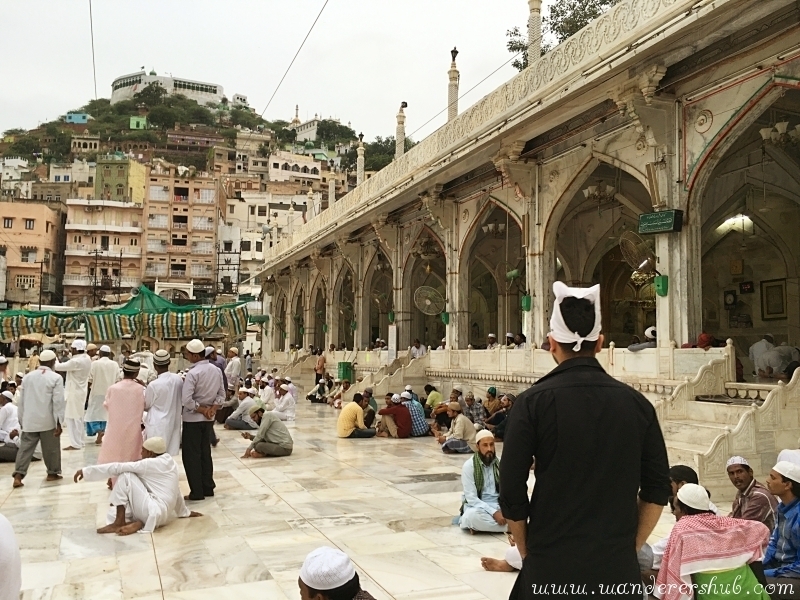 For parking – there is a parking area designated near the Ajmer Sharif Dargah – hardly 10 minutes’ walk from the shrine. We took our car through the outdoor bazaar towards the dargah, only to be stopped by the barriers, and go back to park the cars outside. We did as asked. The parking fee is 100INR. It is important to dress modestly and carry a head cover, for you’d be asked to cover your head inside the mosque. Dressing modestly is one of the major requirement not only for a visit to dargah but any other religious site in India. So, one should dress modestly for conservative countries. Bring as little stuff along with you to the dargah as possible. There are many pickpockets preying on the visitors. And as it can get really crowded inside the mosque, you might not even have space to move so the chances of losing your personal belongings are higher. So leave your wallets and cell phone back in your hotel. The road from the parking area to the shrine has hoards of beggars trying to get your attention, who will swarm you from all sides. Don’t give alms to beggars. 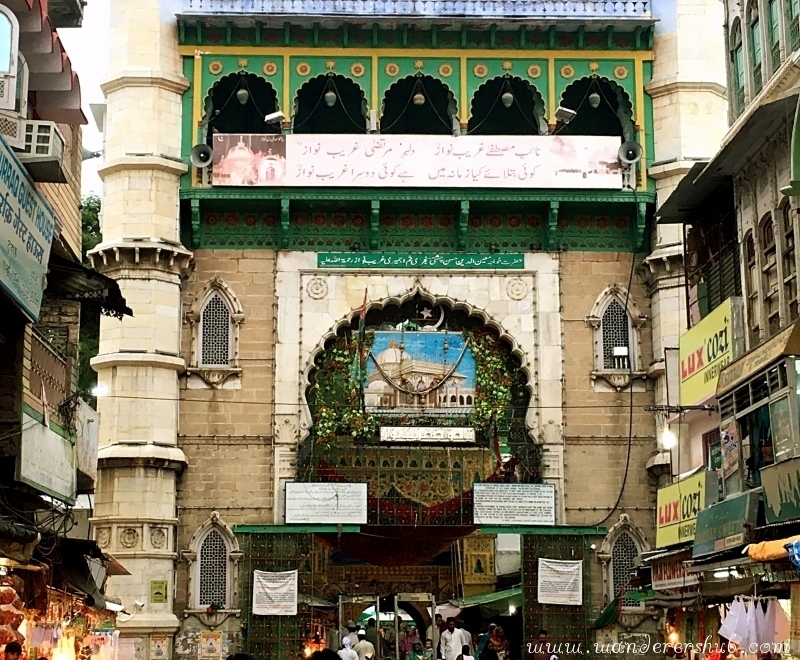 As soon as you drop your shoes and make your way into the dargah, you might be approached by a Sufi man who’ll take you to perform some rituals and offer a donation. You need to be supremely cautious and avoid being called by people around. Head straight into the dargah. Expect a fair amount of pushing and shoving since the entry to the main tomb gets really narrow. Just take your round around the tomb as fast as possible, offer prayers, and come out. Been to Ajmer Darga once way back in 2010 on our way to Pune from Pushkar. There is an old world charm in the narrow lanes jostling with people and lines of food stalls along the lane.Though I did not try anything that time as I was too young, but I guess I might take a trip again in the future to explore the area in a much better way. Your photos are amazing and I love the way you seem to have really portrayed the feel and experience! It’s nice to go somewhere that is away from the touristy norm and really get a feel for the culture. I can only imagine how the peacefulness would would feel so exhilarating! It looks very serene! I was in Rajasthan last year, but I went to the big touristy places you refer to. 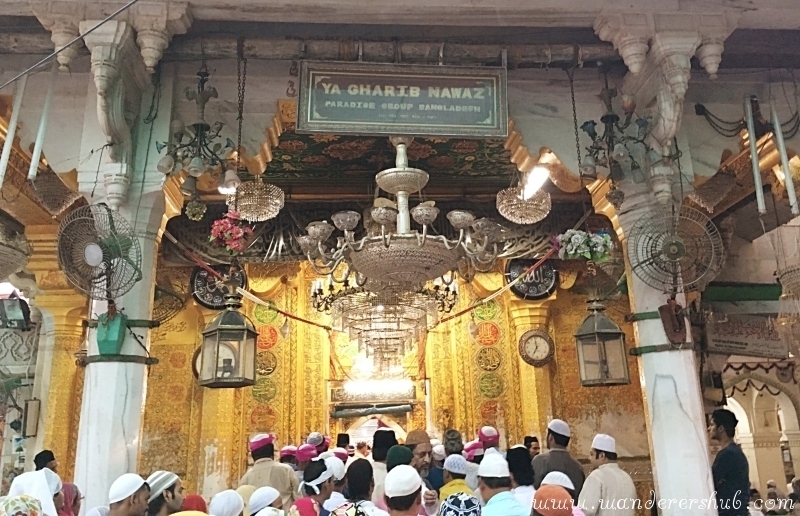 Sounds like this is a different experience altogether – the authentic experience you had in the dargah sounds like the polar opposite of what I witnessed in, say, Udaipur, which was a bit cosmetic and ‘for the tourists’. Great tips on staying safe too! Those bulleted tips at the end are a brilliant idea for formatting. Super practical and helpful. That’s the kind of stuff I really love to see on blog posts when I’m planning trips. What an incredible and fascinating place to visit, sounds like it is bubbling with culture & history. That’s great that the dargah wasn’t as touristy as you expected and you were able to have what sounds like a meaningful experience there. The spirituality and the ethereal beauty of Ajmer wafts across so beautifully in your pictures. I could almost experience the serenity of the place through your post. I would love to see a place in person with such diversity of colors, nationalities, and religions. I have never been much of a religious person but would love the opportunity to attend some kind of ceremony from each religion to better understand how the world works as a whole. Looks like you really got the full experience! wow this is really beautiful! Ive always been interested in Sufism and learning about it in an awesome place is a great experience.